of earth will grow strangely dim in the light of His glory and grace…"
Wonderful. Thank you. 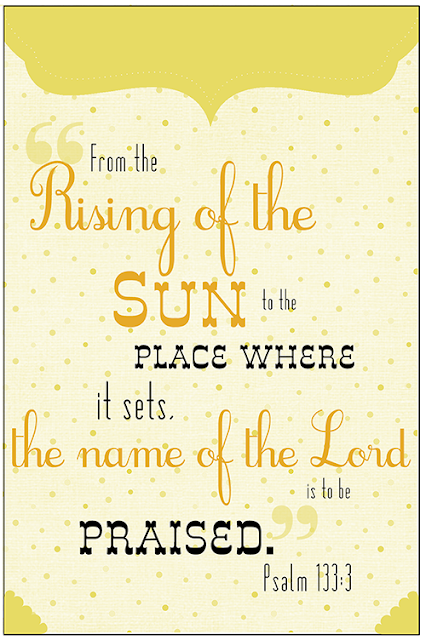 Come over and listen to the Sunday Praise song that I posted this week if you get a chance. One of my favorites, but they are all one of my favorites. I look forward to each Sunday when you post a new scripture. Putting them on my desktop helps me memorize the verse. Thanks. I love that idea, Deborah! Have a great Lord's day!